What should we make of these remarks? They are, of course, carefully expressed; it would be wrong to suggest that Lord Neuberger had engaged in intemperate or improper criticism of the government’s recent policies and proposals in relation to justice. Nevertheless, it is certainly significant that the President of the UK Supreme Court has spoken about these matters in these terms. Indeed, only last year, Lord Neuberger cautioned that judges should think carefully before speaking extra-judicially about matters of government policy or public controversy, for fear of compromising judicial independence and threatening the proper relationship, under the separation of powers, between the courts and the other two branches of government. We can be confident, therefore, that Lord Neuberger’s decision to weigh into the debate about access to justice would not have been made casually. Lord Neuberger’s contribution is unlikely in itself to prompt a radical change of heart on the part of the government, but it will, quite properly, form part of the backdrop against which public debate in this area takes place. It is right that senior judges should have the freedom to speak up when government policy threatens fundamental rule-of-law requirements such as access to justice, and Lord Neuberger’s lecture is therefore to be welcomed. That does not mean that the government and Parliament should instantly cave into the judges’ views at the first hint of criticism: but it does reflect the fact that in our unwritten constitutional system, mutual respect must be exhibited. And that, in turn, means that it would be foolish for any government merely to dismiss the cogently-reasoned arguments of a very senior judge on a matter such as this. Ten years ago, when the Labour Government was on the verge of attempting to prevent judicial review of immigration and asylum decisions, Lord Woolf, in a lecture which I attended at the University of Cambridge, warned that if politicians persisted in failing to respect the proper role of the courts, they would succeed only in making the case for a written constitution that would prevent the improper marginalization of the judicial branch. Sensibly, the Blair Government heeded Lord Woolf’s warning and stepped back from the brink. The Coalition Government’s policies constitute a less explicit, but nonetheless real and insidious, threat to access to justice. Current Ministers would do well to heed Lord Neuberger’s warning, just as their predecessors heeded Lord Woolf’s. 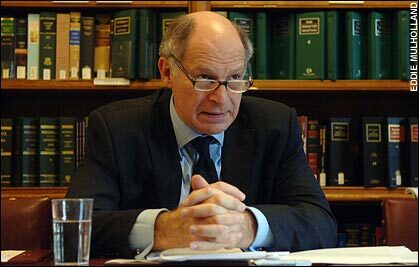 Leave a reply on "Lord Neuberger on the rule of law and access to justice – choice excerpts"